Pneumatic fenders for safe marine moorings. When mooring under rough weather conditions, Yokohama pneumatic fenders allow gentle initial contact with a gradual increase of reaction force and large allowable deflection, meaning vessels and moorings are protected even under rough weather conditions. Each buoy system is composed of foam-filled. Yokohama buoys are a leading anti-collision device for marine applications in the world today. 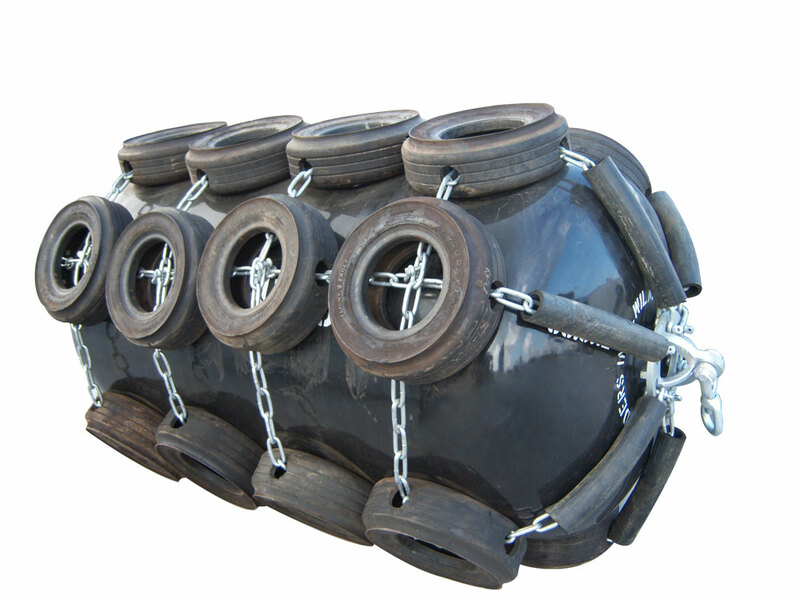 Pneumatic rubber fenders serves as a critical protective medium against collision when ship-to ship (STS) transfer operations and ship-to-dock (STD) berthing and mooring operations. Pneumatic fenders have the advantages of massive energy absorption with low unit surface pressure act upon the ship. These Yokohama buoys are specifically made for protection in maneuvering ships without collision.